Renee Powell never fails to see student potential, to find solutions to problems and to create something out of nothing at Lanier Elementary School, including an empty classroom. When resident STEM teacher Powell looked at the vacant room next door to her classroom, she didn’t just see an empty space for storage. Powell envisioned a video lab for student news broadcasts and 3D printers buzzing with new creations. She saw unused computers that would allow students to explore engineering technology. She pictured virtual reality glasses and digital microscopes that would help students view the world in new ways. More than anything, when Powell looked at those four white walls and empty shelves, she imagined a place for Lanier Elementary students to experience versatile science, technology, engineering, art and math (STEAM) learning for the first time. Powell’s earnest vision for the school’s abandoned computer lab is what inspired her to apply for ORAU’s 2019 Extreme Classroom Makeover competition. 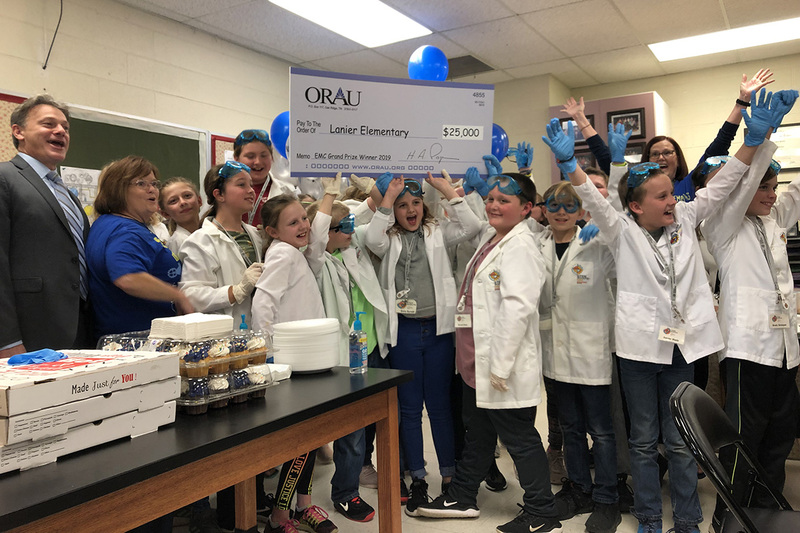 In its eleventh year, this annual competition hosted and sponsored by ORAU supports STEM education in East Tennessee through grants for new technology in the classroom. Only open to teachers, Extreme Classroom Makeover provides local schools with the opportunity to enhance their students’ educational experience and better prepare them for ever-evolving careers in STEAM. Each year, one winning teacher is chosen, one classroom is upgraded with $25,000 in new technology and countless students are affected for years to come. 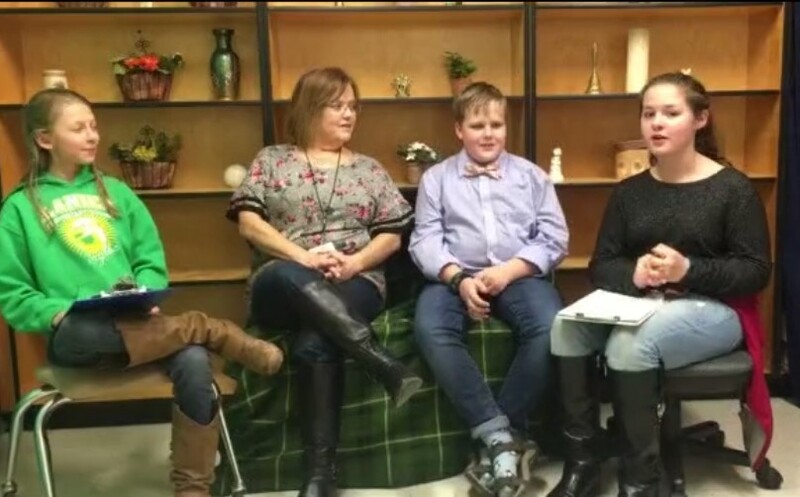 Aware of the possible impact of this grant, Powell rounded up the school’s group of STEM Scouts and put them to work on a video submission for the ECM application. According to Powell, her students were the creative genius behind this year’s winning video. “They came up with the theme of the video and the props. They spent a lot of their recess time and their time after school working on this video,” Powell said. Lanier Elementary School Principal Teresa Robinson said she wasn’t surprised by Powell’s initiative to apply for Extreme Classroom Makeover. And that’s exactly what Powell plans to do. What has been an unfurnished classroom space at Lanier Elementary School will now become a STEM lab for students in pre-kindergarten to fifth grade; and she’s looking forward to expanding her students’ knowledge outside of Blount County. Powell is also looking forward to enticing her students’ excitement for a future in STEAM with her new classroom purchases from the Extreme Classroom Makeover grant. Dr. Eric Abelquist, ORAU’s executive vice president and chief research officer, had the opportunity to surprise Powell at the 2019 Extreme Classroom Makeover winner announcement. Besides the thrill of handing over a $25,000 check, Abelquist says that the annual competition is forward-thinking for ORAU. Mrs. Powell's class at Lanier Elementary celebrates winning the ORAU Extreme Classroom Makeover grand prize. Watch Lanier Elementary School's winning video!